Extreame Savings Item! Free Shipping Included! 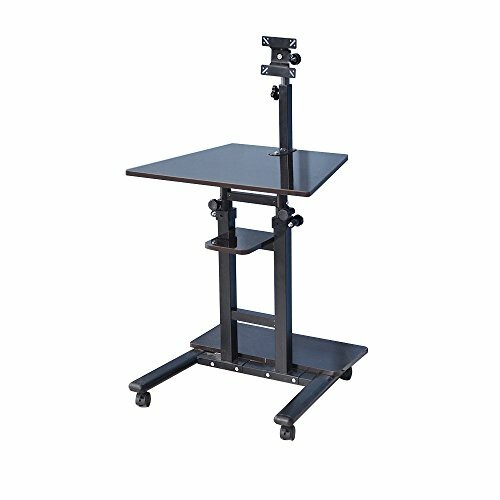 Save 42% on the Soges Sit Stand Desk Stand up Desk Mobile Computer Desk Workstation with Casters Moving Desk, Black XG01-BK-N by soges at Momiji Studios. MPN: XG01-BK-N. Hurry! Limited time offer. Offer valid only while supplies last. Overall size: 23.2" Width x 18.1" D x 28"- 43.3" H, can moving everywhere you want. Environmental particle wood with smooth finish, waterproof and anti scratch; Heavy-duty powder-coated metal which ensures stability and durability.